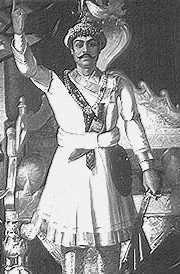 Conquered several states and united them into a mighty Gorkha Kingdom. Established a sound administration with a stable economic base and laid the foundation of an independent country. Gained victory over British and Muslim forces. The nine-storey Basantapur Durbar, the seven storey Durbar, the Ranga Mahal and Tilanga House of Nuwakot were built. Gave valuable advice, popularly known as "Divine Counsels" ( Dibya Upadesh), to his successors. Maintained friendly relations with neighboring states and countries. Waged war with Sikkim but failed to conquer it. Commenced the custom of erecting a Linga (pillar) in the occasion of Indrajatra festival at Hanuman Dhoka Durbar. Organized a conference of Sanskrit scholars at balaju in which scholars from 12 countries participed. Sugauli treaty was signed in favor of British, and Nepal suffered a great loss. The country was given a number of economic reforms. Slavery was abolished and roads were constructed for travelers. The Cot massacre , the Bhandarkhar event and the Alou event took place. The start of Rana regime. Emphasis was given to inoculating children against small-pox. English education was introduced in Nepal. Good supply of water and strict sanitary systems were applied. The first automobile was brought in Nepal. Improvement in military and judicial administration. Along with slavery system, Sati custom was also abolished. 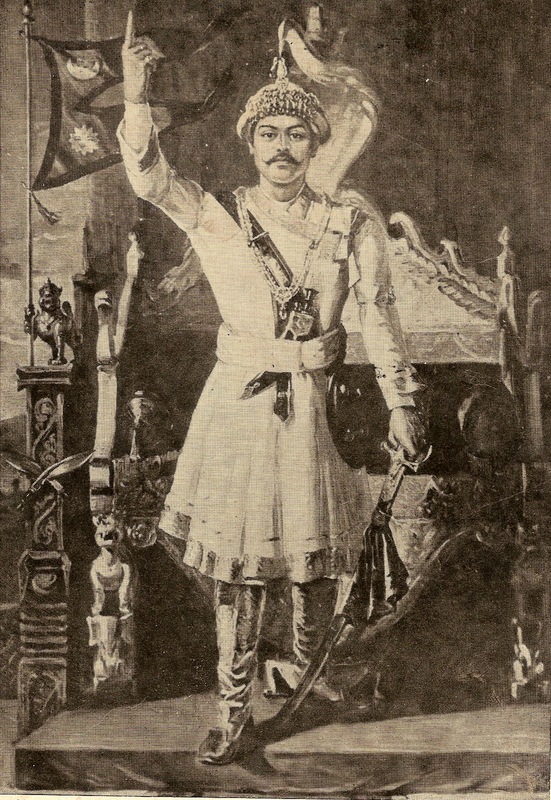 Nepal was recognized as an independent sovereign country. A dreadful earthquake occurred which caused a heavy loss of life and wealth. Nepal took part in the World War in favor of British. Great patriots, Dharma Bhakta, Sukraraj Shastri, Dashrath Chand and Ganga lal Shrestha were sentenced to death. Several schools and colleges were established. Rana autocracy reached its end. 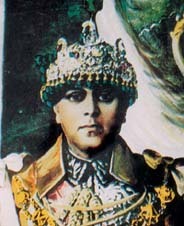 Several parties were established to end the Rana regime. Delhi agreement (for the formation of a new ministry under the king's leadership) was signed. Diplomatic relationship was established with China on the basis of five major points. Nepal became the member of U.N.O. in December,1955 A.D.
First general election for the cabinet was conducted. Planned mechanism of development started. Diplomatic relations with numerous countries were established. Panchayat was introduced in Nepal for the general welfare of the people. His Late Majesty acquired his early education at St. Joshep's School, Darjeeling and higher education at Eton College, England, (1959 A.D.-1964 A.D.), University of Tokyo (Japan) and Harvard University (USA), (1967 A.D.-1968 A.D.). 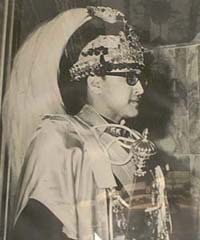 On 1st Chaitra,2011 (15th March,1955 A.D.), he was declared as the crown prince. 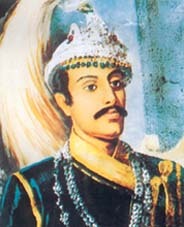 On 17th Magh, 2028 (1970 A.D.), he was declared as the Heir-Apparent to the throne of Kingdom of Nepal. He announced Nepal as a democratic country in 1990 after a popular movement. Acquired his early education from Budhanilkantha Boarding Secondary School and higher studies (GCSE/"O" and "A" Level) from Eton College, Windsor, UK, (1987 A.D.-1990 A.D.), BA from Tri-Chandra Multiple Campus, Tribhuvan University, Kathmandu Nepal (1991A.D.-1992 A.D.), MA in Geography (Distinction), TU, Kathmandu (1992 A.D.-1994 A.D.). He was preparing to submit Doctoral Thesis in the Department of Population, Tribhuvan University. Received the Private Pilot License for AS 332L/L1 Super Puma, Department of Civil Aviation, HMG/N, 1993. 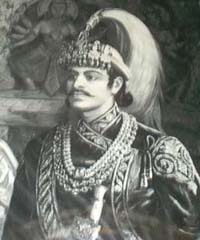 He was declared Heir Apparent to the Throne of the Kingdom of Nepal in 1972 A.D. 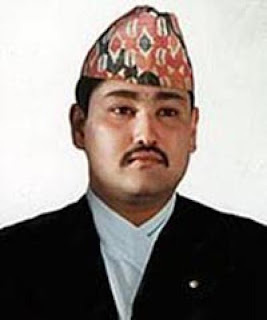 He was commissioned as Colonel-in-Chief of the Royal Nepal Army in 1990 A.D.and the patron of National Sports Council, Royal Nepal Golf Club and Nepal Olympics Committee. 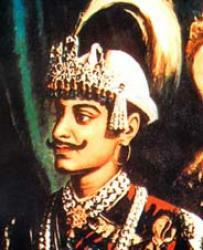 King Dipendra was known as Dipendra Shah in Literary World.A poem written by him. 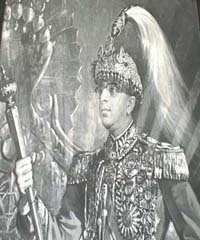 He has been crowned twice.He was declared King by then Rana Prime Minister in 7th November 1950 till 7 January, 1951, at the age of four after King Tribhuvan and then Crown Prince Mahendra secretly left Kathmandu for India to return in 1951. Studied in St. Josheph College, Darjeeling, India and Graduated from Tribhuwan University on 2026 B.S. Married Queen Komal on B.S 2027(1970 AD). One Son(Paras Shah) and One Daughter(Prerana Rajya laxmi Shah). King Gyanendra is well known in Nepal for his conservation works. He is a leading figure in the King Mahendra Trust for Nature Conservation and has worked closely with the World Wildlife Fund.